The Girl with the Iron Touch (2013) is book 3 in the Steampunk Chronicles by Kady Cross. This story features Emily, the girl who can “speak” to machines. Emily is kidnapped by the Machinist’s automatons and taken underground where she is supposed to perform a brain transplant! The Machinist’s body is suspended in a tank filled with bodily goo. Even though physically he is out of commission, his brain is very active in the Aether worlds where he is terrorizing Griffin and also the dead, Mei Xing (from Book 2). Finley, Griffin, Sam, Jasper, and even Jack Dandy band together to rescue “the ginger” as Dandy refers to Emily. Though not my favorite in the series, I always enjoy Griffin and Finley’s Steampunk adventures in Victorian England. It was a fun read. The Girl with the Windup Heart (2014) was released in May and will feature the half machine/half human, Mila, we meet in book 3. The Girl in the Clockwork Collar is the second book in Kady Cross’s Steampunk Chronicles. Book One is The Girl in the Steel Corset which is our introduction to Finley Jayne joining Griffin Kings’ band of extraordinary misfits. Book two begins with Griffin and his group traveling via airship from London to New York City to attempt to clear the name of their friend, Jasper Renn, who was arrested on murder charges at the end of book one. Griffin does not believe that Jasper is capable of murder — at least not without just cause. So Griffin, Finley, Sam, and Emily find themselves in the lavish Waldorf-Astoria as they make plans to free Jasper. They quickly learn that Jasper was not arrested by lawmen, but rather captured by a ruthless gang leader, Dalton. Finley infiltrates Dalton’s evil gang to get close to Jasper with hopes of a rescue, but Jasper refuses to leave because Dalton has Jasper’s former girlfriend, Mei Xing, held hostage with a clockwork collar that will choke her if she attempts to escape. This steampunk novel set in 19th Century New York will not disappoint. I look forward to the next book in the series, The Girl with the Iron Touch (which will feature Emily). Also The Girl with the Windup Heart was recently released. There are several novellas that also makeup the chronicles. It’s a fun series! 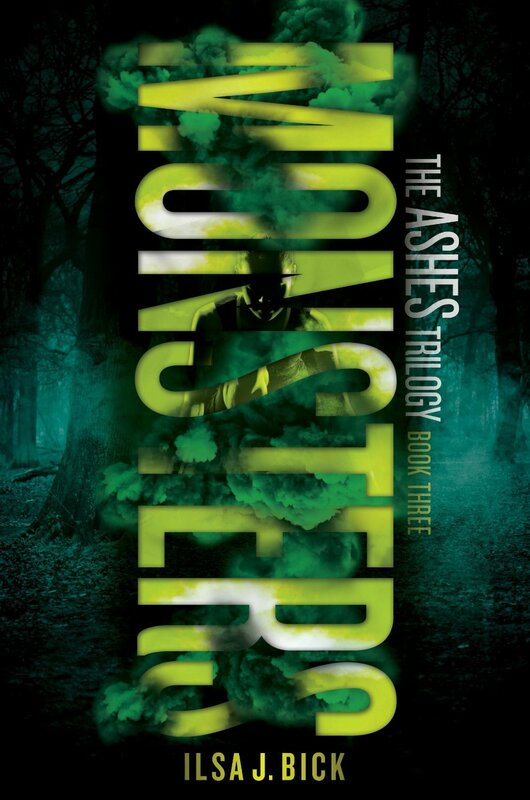 Monsters is the third and final book in the Ashes trilogy. Let’s see…negative words that describe this book: LONG, gruesome, frustrating, grotesque, gore, and unnecessary (some parts). Positive words about Monsters: intense (if you like a lot of action, which I do) and complete. We left Alex falling down a mine shaft in book two, Shadows. In the first approximately 50 pages, Alex is rescued from a very near-death experience in the mine by her “boyfriend” zombie (AKA chucky), Wolf (or Simon), only to get immediately caught in an avalanche, an after effect from the mine explosion where she finds herself buried in snow and to the point of suffocation. Like Shadows, Alex remains separated from her core group throughout the entire book which is very frustrating. They all keep thinking the other is dead, and people keep confirming that fact! There is resolution in Monsters; however, I think I deserved a more fulfilling ending after I worked for a happy ending for almost 700 pages (plus book 1 and 2)! Ashes is one of my favorite YA zombie apocalypse novels and I highly recommend it, but Shadows was disappointing when not only are Tom, Alex, and Allie separated but the teen zombies (or chuckies) become promiscuous. Gross! Monsters is just hard work for the reader. It is one problem after another…did I mention it was almost 700 pages! The reader can never (even at the end) kick back and be happy. It is definitely not that kind of book. I will continue to recommend Ashes, and if readers are like me, they will have to see the characters to the end…difficult as that may be.